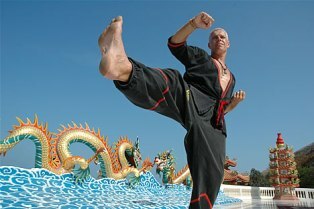 Wing Tsun Kung Fu: a fascinating art of self defence with holiday relaxation and recovery in Hua Hin, Thailand. With good training and the right use, Wing Tsun is the most effective unarmed self-defence technique available. It is especially suitable for not worked-out or elderly people however anyone can enjoy training. 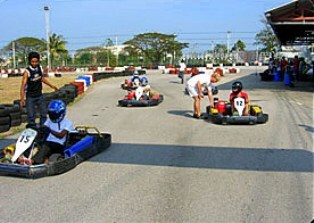 The 700-meter outdoor track, set amidst a backdrop of palm trees and mountains, will both entertain and delight the novice driver and also test the skills of an experienced karter. Arrive and Drive sessions are available for all adult and family needs. Kitesurfing/kiteboarding in Hua Hin offers you big long beaches and beautiful scenery with extremely consistent winds during the months March and April. The water sports school offers the best kitesurfing/kiteboarding learning experiences in Thailand. 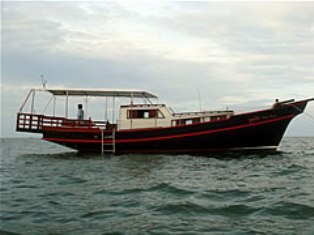 Thai pleasure boat. 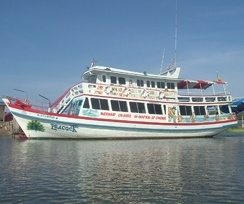 It is the biggest and best equipped tour boat in the Hua Hin area. Just 10Km from the centre of Hua Hin, off the Pa La U road you will find the tranquility of the countryside, with some challenging fishing to share with family and friends. 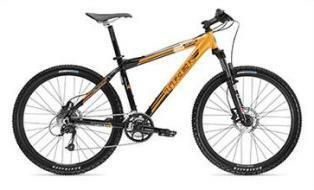 Mountain Biking offers you a range of fascinating and enjoyable rides around the beautiful resort town of Hua Hin. 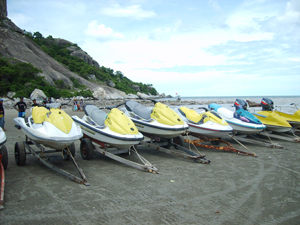 If you visit Hua Hin, we think it�s essential that you visit the diverse and attractive coastal area and captivating national parks, we have rides to suit you too! Creative Educational fun for kids. Groups of all sizes can be catered for groups and workshops are organized by age to prevent boredom from activities unsuitable for older or younger kids, additionally there will be plenty of food and drink breaks during the activities. 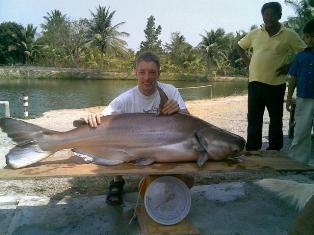 Full and half day cruises, big game fishing, romantic cruises, daily cocktail cruise. 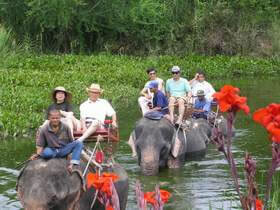 Private cruises and charters can be arranged and catered for. Welcome aboard the Buccaneer pleasure boat, join us for a fun filled day or half day cruise around Sam Roi Yod National Park and Dolphin Bay. Explore the natural beauty of the Gulf of Siam and the Pranburi River, while relaxing with a cool cocktail or an ice cold beer. There are several locations in Hua Hin where you can enjoy elephant rides, the Elephant Village is one of the popular places to go for an exciting ride on one of nature�s biggest gentle beasts. Your elephant�s mahout (keeper) will take you trekking to Wat Itisukato Buddhist Temple with its unusual statuary, then through forest terrain up to a mountain top to get a bird�s eye view of Hua Hin and the sea, then, wading through a small river, back down again to the camp for an elephant show, which shows off both the intelligence and playfulness of these remarkable animals. This a great family sport and is a fun filled experience, you can enjoy a half or a full hour of exiting bumpy ride on board our banana boat. Jet Ski, Water Ski, Doughnut, Banana Boat, Island Trip, Body Boarding, Beach Volleyball. Thai Boxing, Hua Hin offers two spots where weekly fight nights are held.On Sundays and Thursdays at the Grand Sports Arena near the Grand Hotel. On Tuesdays and Fridays at the Thai Boxing Garden, located on Poonsuk Road. Although it is a full contact sport, injuries or major bloodshed rarely occur. Muay Thai is a clean sport and it can be beautiful to watch with the high kicks and other gracious movements. See for yourself and enjoy an exciting and entertaining evening in one of Hua Hin�s stadiums. At the Hua Hin Market Village Petchkasem road, on the third floor. 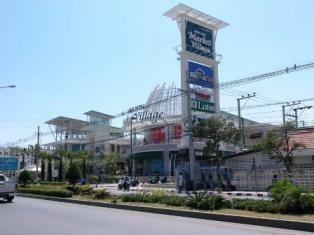 Hua Hin and the area around it have wonderful places to shop for virtually all of Thailand�s traditional handicrafts. In addition, the town itself has become a centre for contemporary art with several small galleries featuring works by local artists. If you�re looking for a suit or dress, there are legions of tailors in hotels and other areas that will craft one to your specifications. There are also numerous opportunities to purchase reasonably priced handbags, sunglasses, costume jewellery, prescription glasses, or ready-made clothing. As elsewhere in Thailand, bartering is the norm, and you will achieve the best prices doing so with a friendly approach and big smile. A visit here affords you the luxury of basking in the coastal sunshine where you will be invited to learn more about viticulture and oenology while admiring the plush 200-rai vineyard. The centre itself is an enchanting Thai-inspired pavilion, designed by Ms Sylvia Soh, a former Norman Foster architect, serves as the platform for providing information on viticulture and oenology. 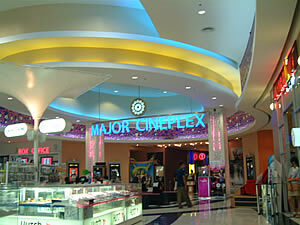 The centre combines local elements with contemporary designs to afford visitors a soothing and enlightening experience. Housed within this centre, is a trove of information on new latitude wines waiting to be explored. The center includes THE SALA, retail shop, a wine cellar, and a meeting facility. 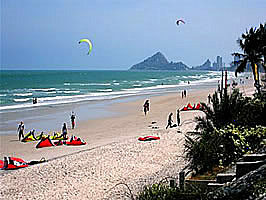 Hua Hin started off primarily as a golfing destination but now offers a number of gyms, tennis, badminton and squash courts, kite surfing schools, kayaking, fresh and salt water fishing, karting and biking, cycling and running clubs, martial arts and self defense courses, pool and darts leagues and a growing number of local clubs. © Copyright Hua Hin Villas. All Rights Reserved.